Space is now available in the new Oak Hill Center! This is an exciting opportunity to secure retail and office space in the only commercial center at Lake Nacimiento. Located 20 minutes from Paso Robles, Lake Nacimiento is a recreational playground as well as a thriving community. 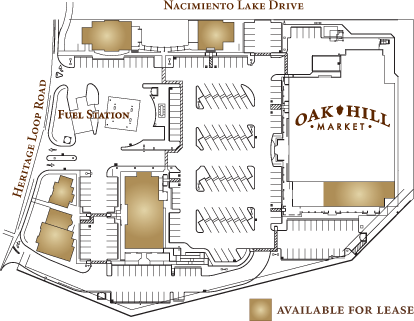 Oak Hill Center is ideally located off G14, the main thoroughfare connecting Lake Nacimiento and Paso Robles, and adjacent to the only elementary school in the area.